If you need to update the email address used as your Harmony user login, you can do so from either the MyHarmony desktop software or the Harmony mobile app. Select Harmony Setup > Add/Edit Devices & Activities. Select ACCOUNT INFO > CHANGE EMAIL ID. Enter your new email ID, current password and press SAVE. Sign in to the MyHarmony desktop software. 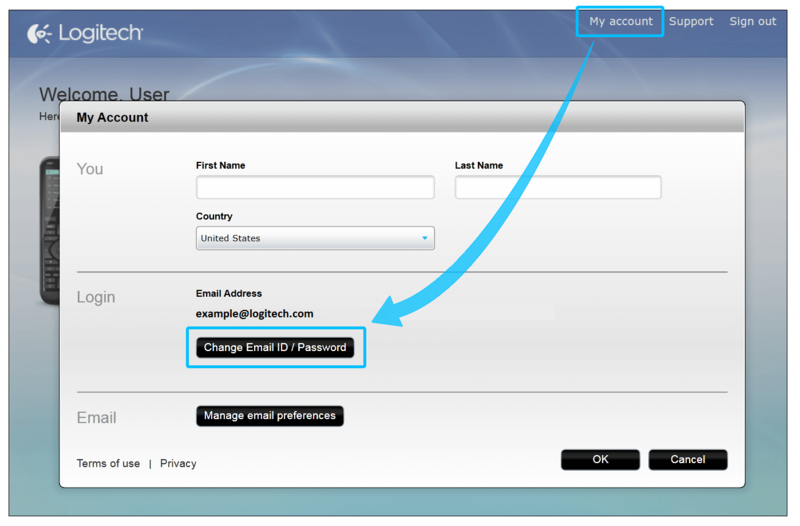 Within the login section, press the Change Email ID/Password button. 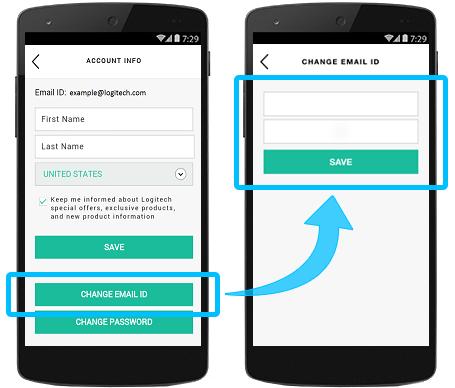 Enter your new email ID, your current password and press SAVE. Alternatively, if you have a Harmony IR or hub-based remote and have added Express to that setup, you may follow the directions for that remote to update your Harmony Email ID. To do so, reselect your remote from the options above and follow the directions provided.